Don't worry - no details or secrets about the bestselling romantic novel will be disclosed in this post! Rather, let's use it as a jumping off point for a discussion about gardening. Christian Grey, the main character in the trilogy, is a man with multiple layers to his personality. He may be young, but he has issues. Sounds like a few of my tomato plants. He's moody to extremes and often described as mercurial. Did I mention that Christian Grey is really good looking...drop dead gorgeous? At first glance, that's what I'd say about the garden, too. Young and fresh and absolutely beautiful. Upon closer inspection, though, the frailties and imperfections become apparent. Some are quite obvious while others are quite subtle. Some seem to appear out of the blue without warning and others are more predictable. This morning, as I surveyed the garden, the temperature was mild and comfortable – for about a minute! The sun came out from behind the clouds and in a matter of moments, it was hot and bright. Then, just as quickly, the clouds shifted, the sun was again completely hidden, and a cool breeze began to blow. 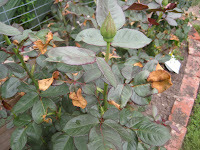 Conditions in the garden change, sometimes very quickly. 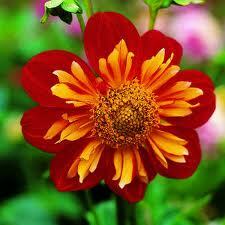 It can be cool and moist at one moment and in the blink of an eye, sunny and hot or dark and gloomy. 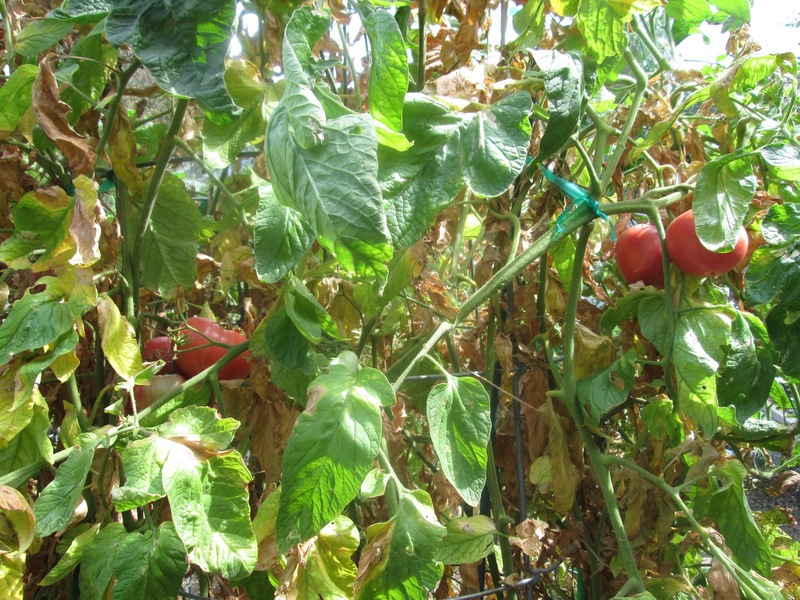 Weather can play havoc with young plants, causing curled or burnt leaves, allowing the ideal conditions for powdery mildew to set in or creating the perfect conditions for a hostile takeover by damaging insects. These are things that we just cannot control. Plants react in a variety of ways, often in ways that we cannot predict. I shudder to think of Christian Grey as a gardener! The key is not to panic and over-react to every little thing as it occurs but rather to embrace them as part of the greater gardening experience. Sometimes, those little things that happen aren’t so bad after all. If you can look at the big picture, you’ll find gardening to be much more pleasant and satisfying. And, in the end, those Fifty Shades create something quite wonderful. I can't emphasize enough the importance of building and repairing your soil - replenishing what's been depleted over the years. 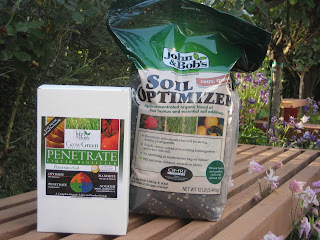 In my classes and in my videos I always explain how I use products from John and Bob's GrowGreen Smart Soil Solutions. Read on to learn how I became such a believer in these four products. They've changed my garden! There are few things in gardening that you can count on every year. Weather patterns are erratic. Some years are mild and warm, others are cold and wet. Whatever used to be the norm in Southern California no longer applies. 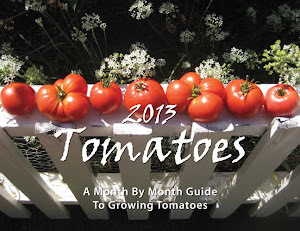 By this time last year, I had 150 tomatoes in the ground. This year, I’m still waiting for nighttime temperatures to rise into the 50s so my plants can stay outdoors. 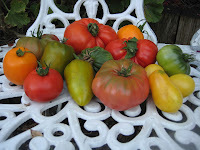 Tomato varieties that did great in my over-sized kitchen garden last year might have a mediocre season this year. 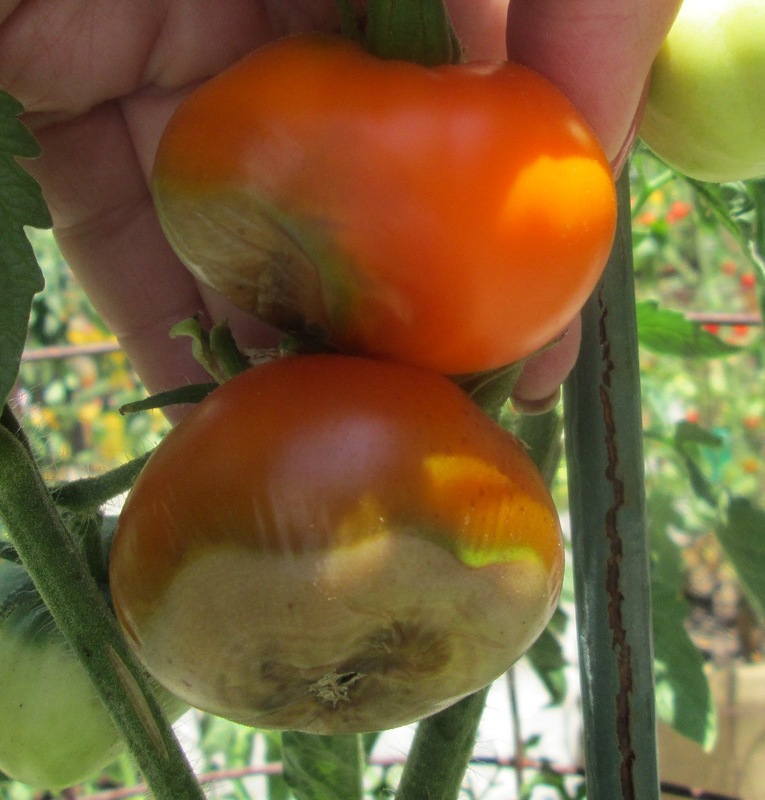 While I’ve learned to embrace the uncertainties of each growing season as an adventure, I do like knowing that I can count on John and Bob's to help me have the best results possible. Even if it’s too cold to plant, I know that my soil is alive, healthy, thriving and, most important, ready to nourish and support my tomato plants. I began growing vegetables 17 years ago with no knowledge and nothing more than a desire to do something fun in the backyard with my sons. I enjoyed gardening enough that I attended seminars and spoke with other growers. As my education continued, along with it came my introduction to John and Bob’s. I began slowly…adding two tablespoons of John and Bob’s Optimize along with organic fertilizer to each hole when planting tomatoes. I can’t say that at the time I really understood about microbes, beneficial bacteria and humus, but the basic theory did make sense to me – healthy soil feeds plants so they can be healthy, too. 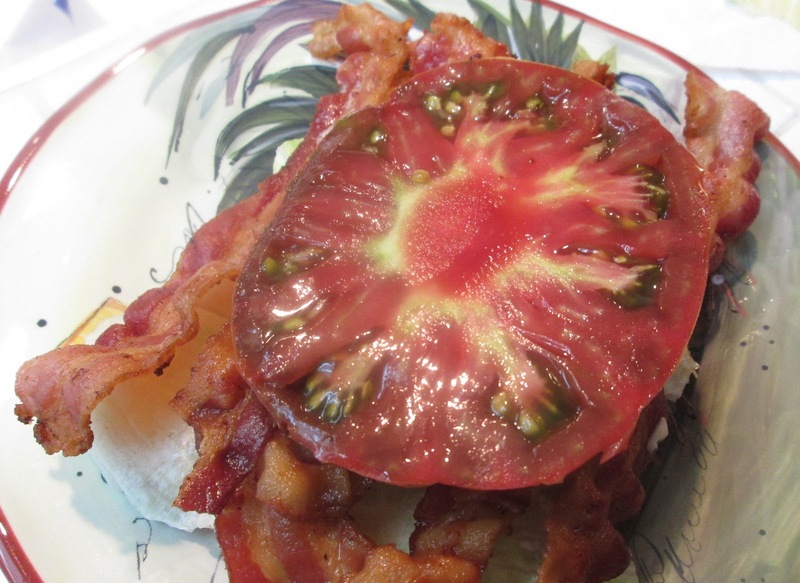 Flash forward a few years…Every season my tomato yield was getting better and better. 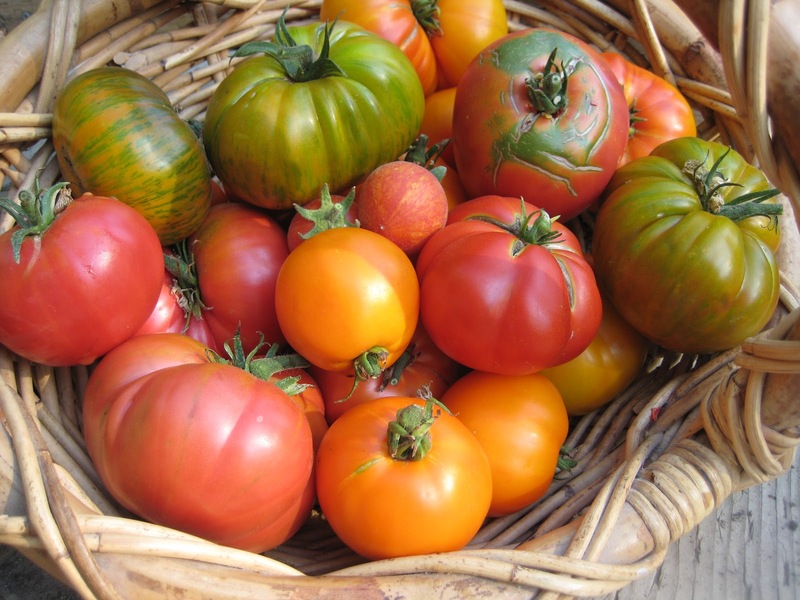 Even in those years that people said they had a “bad season” – I had plenty of tomatoes. I was still only using John and Bob’s Soil Optimizer, not their whole line, and fertilizer when I planted my tomatoes. 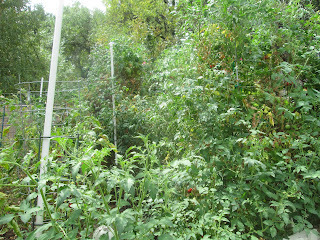 Every day during tomato growing season, my morning ritual begins with a walk out to the garden to check on each plant. I remember one morning in particular, a few years ago. 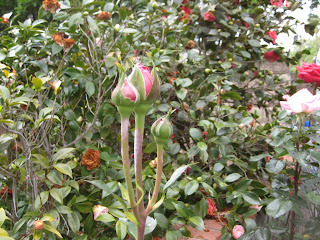 While most of the plants were perky and bright, I found a few that were limp and sickly looking. I began to panic. Whatever was going on looked bad. I didn’t know what it was but I knew that I didn’t want it to spread to any more plants. It did. I cut open leaves and stems, looking for clues to try to diagnose the problem. 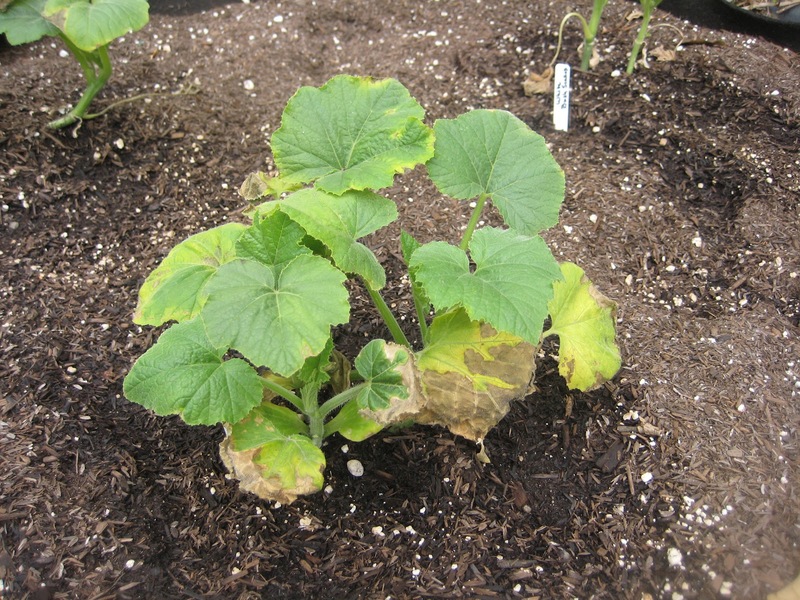 It appeared that my plants, now eight of them, suffered from fusarium wilt. I had visions of losing every one of my plants. Frantically, I called my mentor, Steve Goto. His advice was clear and concise and not to be ignored. 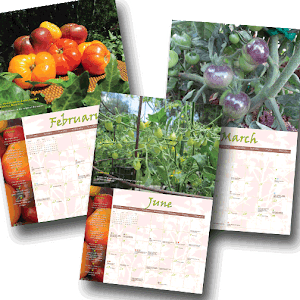 What I did that day and in the weeks to follow convinced me that I will never grow anything without the full array of all four of John and Bob’s products again. I immediately sprayed the leaves with Penetrate as a means of inoculating them. 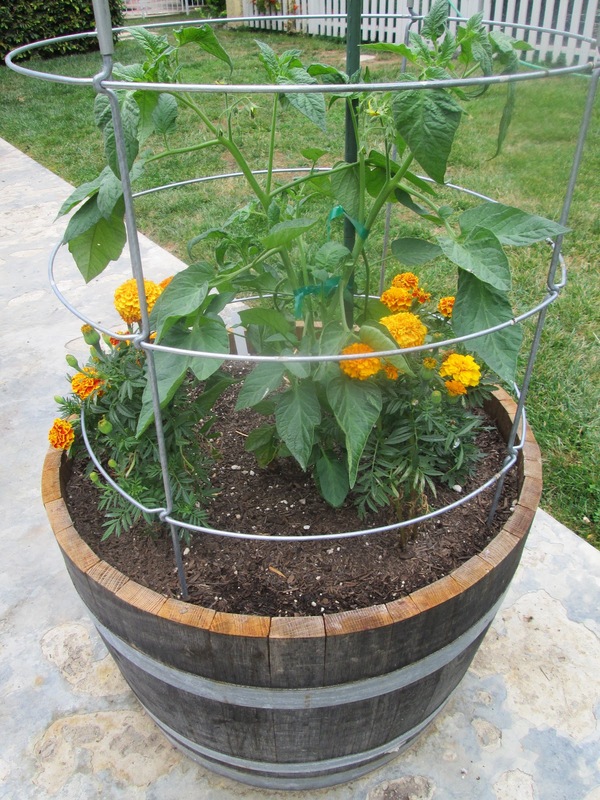 Then, I gave each plant a good dose of Maximize, full of beneficial bacteria and advanced micro-organisms. Next, I applied Nourish/BioSol, which is like an antibiotic for the soil, feeding the microbes and fighting pests and disease. I followed by pouring Penetrate, a liquid bio-tiller directly to the soil at the base of each affected plant. I had acted swiftly and done everything possible I could to save my tomatoes. The only thing left to do was the hardest thing of all…wait. The plants looked worse. I removed two that were most affected. I remembered being told that the plants would probably look worse before they looked better so I didn’t give up hope, and ultimately, my persistence and patience paid off. New growth began to appear and the plants finished out the season, providing lots of tasty tomatoes with little memory of what could have been a disaster. 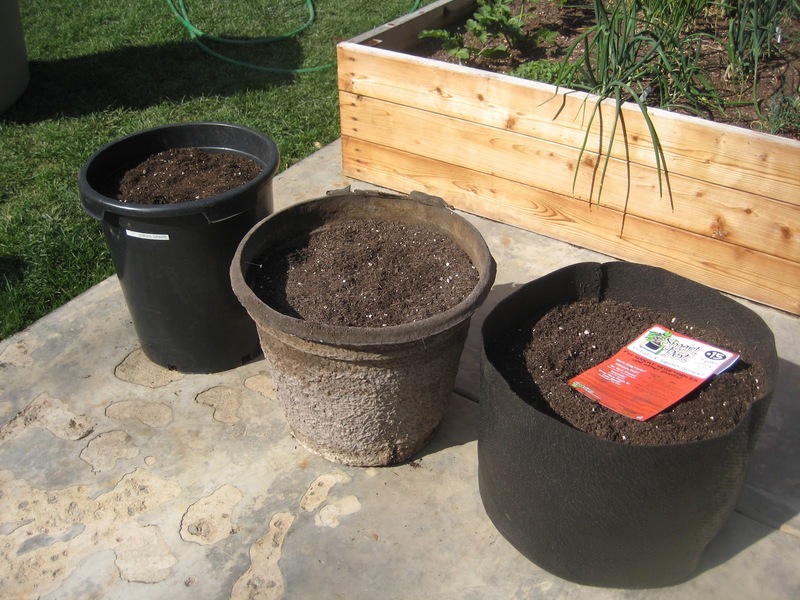 Years later, I now use those four John and Bob’s products together to build my garden soil as a matter of routine. It’s really quite easy. Twice a year, once in early Spring and then again before Fall planting, I sprinkle a light layering of Optimize, Maximize and Bio-Sol onto my empty garden beds. I don’t till the beds or turn the soil. I usually add some compost and worm castings, too, and finish it off with a spray of Penetrate to moisten the layers. My plants are healthy and strong with minimal issues of concern. In fact, along with thriving, productive plants, I’ve noticed a significant reduction in undesirables in the garden. Yes, I mean tomato hornworms! Last year, I found only two on my 150 tomato plants! 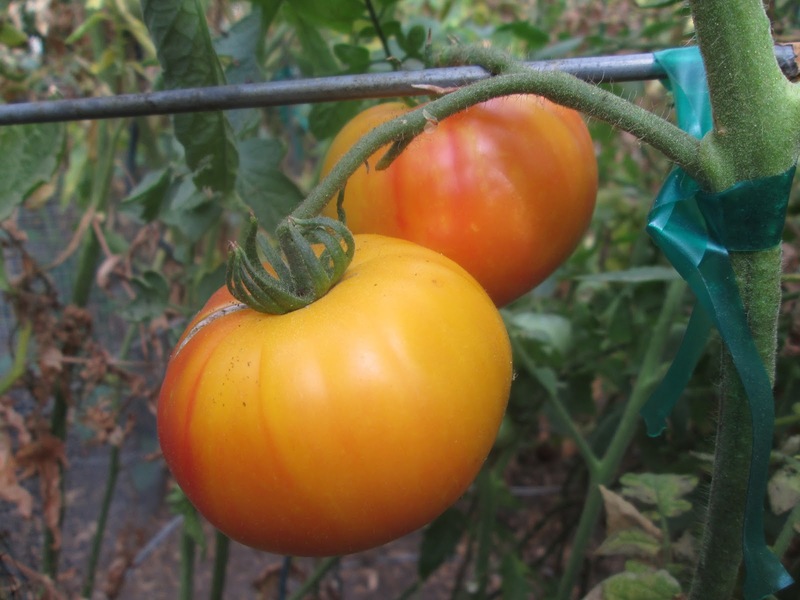 I can’t really say what my tomatoes would grow like without John and Bob’s, but with the kind of success I’ve had since using their products, I don’t want to find out! Seen one container, seen 'em all? Not so!! 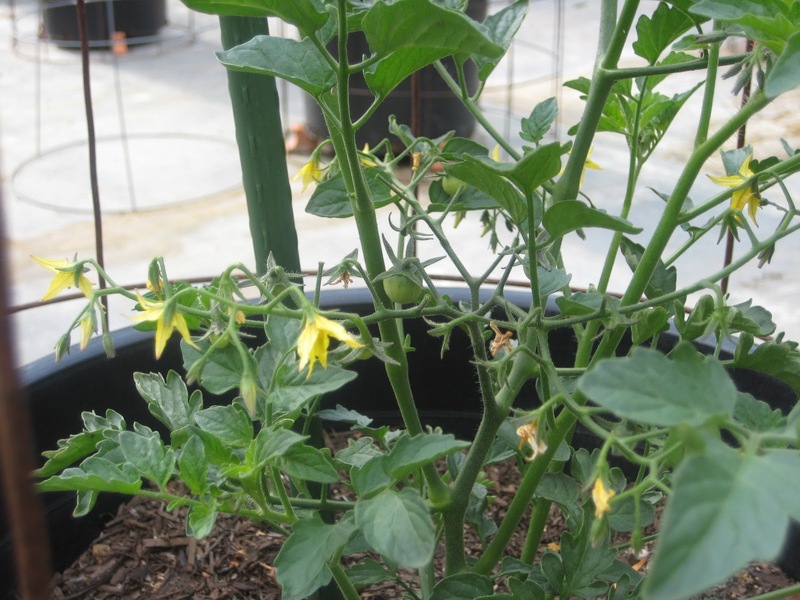 When it comes to growing tomatoes, container size and the material it's made of are extremely important! 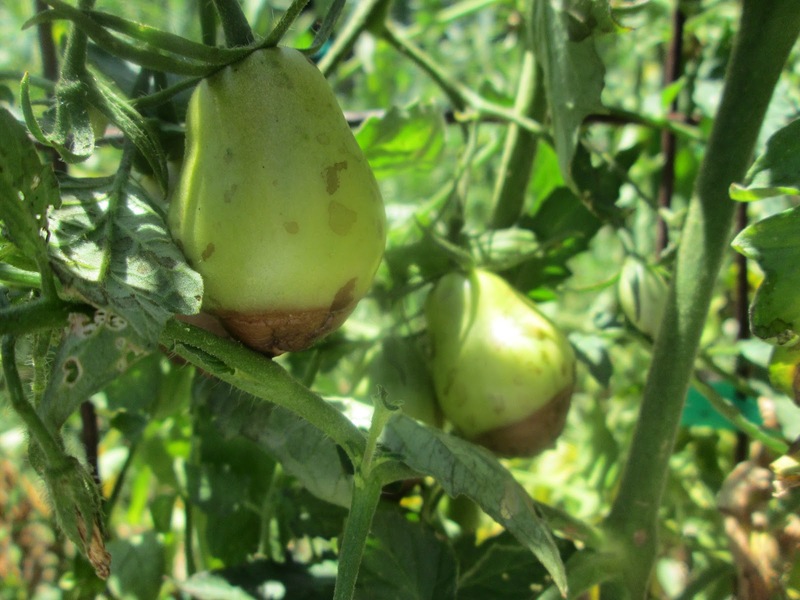 Tomatoes need plenty of room for their large root systems to grow and plenty of soil volume. 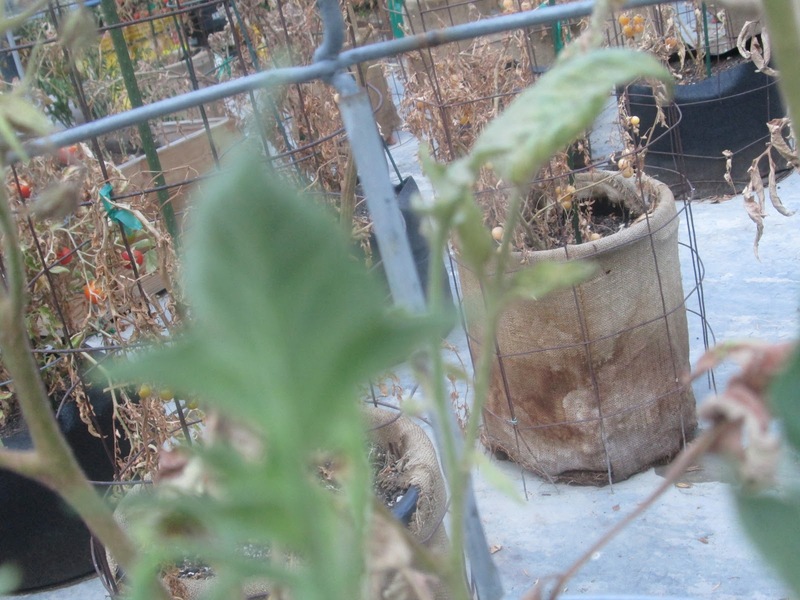 The foliage and fruit need heat and sun, but the roots, not so much. 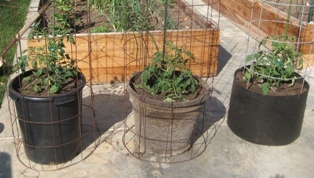 Tomatoes will do well in containers that can hold a lot of soil. 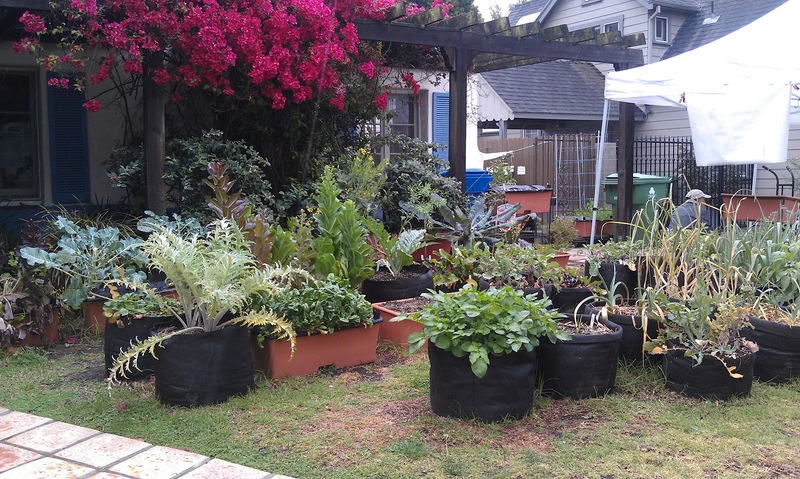 That means at least 15-gallon containers, which hold one 2 cubic foot bag of potting soil. The nutrients in the soil in pots leach out quickly so I like to use fresh soil each year. Alternatively, you can replenish the soil with amendments just like we do in the ground. That's light layers of fertilizer, inoculent, soil conditioner, and compost right on top of the existing soil. Terra Cotta - well, I'm not really going to dwell on this. Clay pots soak up the water that you put down for your plants. They're heavy and hard to move, if you need to. 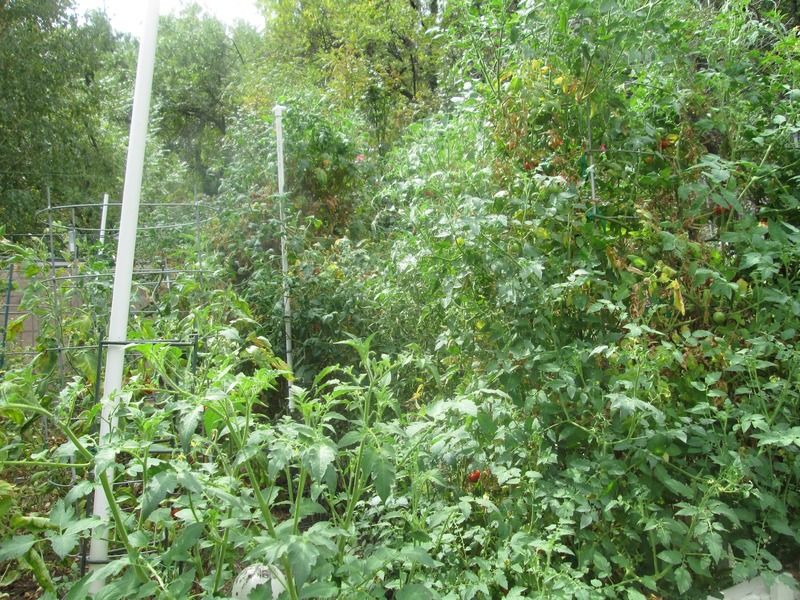 I never plant tomatoes in them. 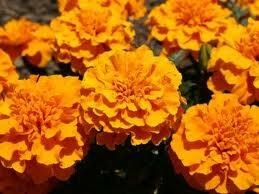 Some are quite lovely, but save them for your annual color. Composite/Faux Terra Cotta - pretty much the same issue with water. They're lightweight and some are very pretty. I use them, but not for tomatoes. 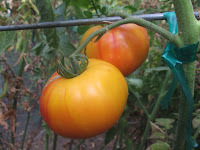 Heavy weight plastic - I have about 30 black, 15-gallon containers that I have grown tomatoes in for years. There are three or four nice holes in the bottom so they drain well. I do like to put them up on pot feet. That way, when they drain, the water runs off rather than pooling around the pot. The problem with these pots, though, is they're black. It gets really hot here in the summer and the pots sit on top of my reclaimed basketball court. Hence, the pots get really hot. 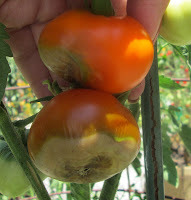 As I mentioned before, tomatoes and their foliage like the heat better than the roots do. Last year, to minimize heat absorbed by the pots, I wrapped each one in a burlap bag. I cut open the bag, wrapped it around and pushed one or two garden staples into the soil to keep the bag in place. 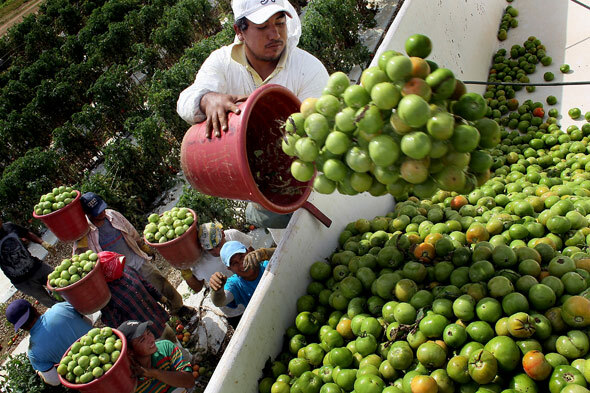 The bags remained on the pots for the duration of the season. The light color repels heat and when it was extremely hot, I watered down the bags to help cool them and the containers underneath. This worked well and I was very happy with the results. This was a successful, although not very pretty solution. Pulp Pots - I bought one of these pots about three years ago, fully expecting it to last only one season. I'm still using it! It did a fine job. Water drains, it doesn't get too hot. I'll say more about this pot a few paragraphs down. Smart Pots - This is my first season growing in Smart Pots. I received a huge box full of samples in various sizes from the distributor who wanted my input on how these compare to the plastic. What a wonderful gift! These pots are made of breathable, porous fabric. They are black but this material is said not to absorb heat the way plastic does so I'm giving it a shot. Last February, we had extremely unusual weather. While in most years February is our coldest month, this year we had several days of 80 degree weather. 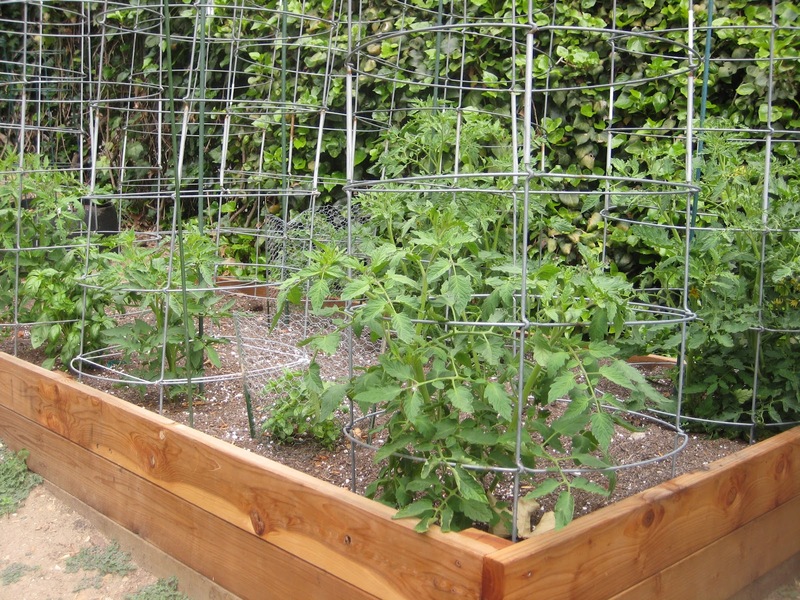 Perfect for growing tomatoes. 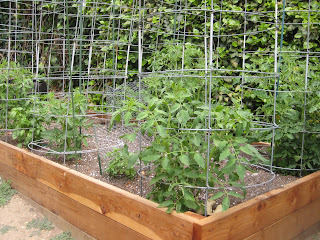 So, when I found a three pack of big, beautiful tomato plants on sale at Costco, I just had to buy them! I wanted to get a jump start on the season! Knowing full well that it was still too cold at night and not the right time to plant them in the ground, I decided to try an experiment. So, I planted one tomato in the pulp pot, one in the black plastic and the last in one of the Smart Pots. I put fresh soil in each container, then the usual additives in each planting hole, and then the tomatoes. I was excited and optimistic that my desire to have really earl tomatoes would overcome the weather! Of course, you know what happened. 34 degrees that night...and the next! I was afraid to go out and look. When I finally got up the nerve I went outside and here's what I found - the tomato in the pulp pot was almost completely limp and black. The bottom leaves were curled but looked salvageable.The tomato in the Smart Pot had gone limp, but not as badly as the one in the pulp pot. I thought I could cut off a few branches and that it would grow back. 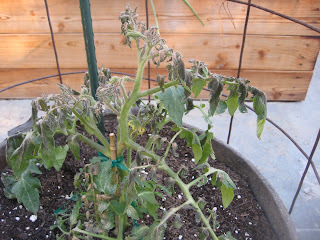 The tomato in the black plastic pot was limp at the very tip, but other than that, it appeared quite fine. What did I learn from that little exercise? Plastic pots definitely hold heat. Pulp pots do not. Smart Pots seem to be the happy medium. Lastly, don't plant tomatoes in February. 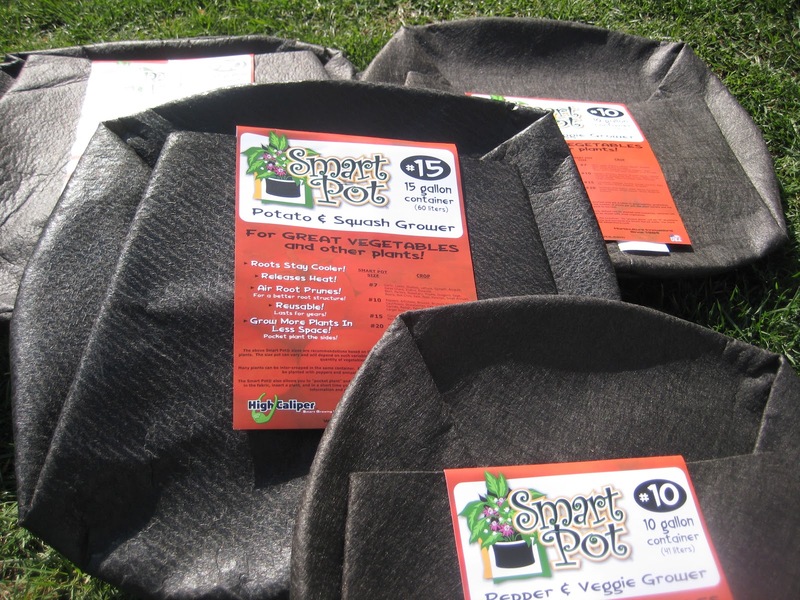 So, while I will definitely use the plastic pots this season, I'm very excited about the Smart Pots. I think they're going to do quite well. I'll keep you posted. If you ask 100 different tomato growers how they plant their tomatoes, you will most likely get 100 different answers. And, they're probably all correct! Here's a short video from my new series, Two Minute Tomatoes, where I demonstrate my step by step method to planting a tomato. The goal is to grow healthy, productive plants that provide lots of delicious tomatoes to enjoy. Here's what works for me and I bet it will be work for you, too! I love going to seedling sales. It’s not that I’m going to buy something in particular, and I never go with a list. Rather, I like to see what’s different or new and what somebody else thinks is so fabulous that they label it as such. I always find things I never even knew about…Yes, I grow a lot of tomatoes, but there’s no way that I can know them all! Last weekend, we actually had a rainstorm in Los Angeles. Storm Watch ’12 really was more than a drizzle. 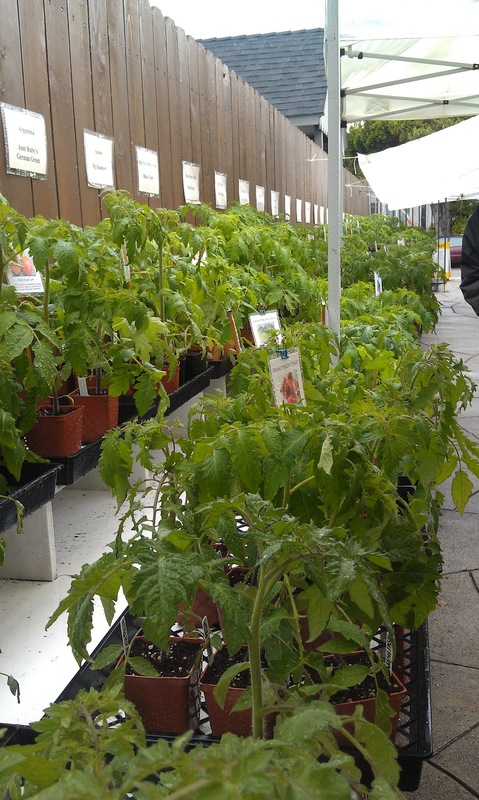 But, I would never let a little or a lot of rain stop me from checking out some new tomato varieties. So, off I went, in my oh-so-cute rainboots to visit the seedling sale at Two Dogs Organic Nursery. When I arrived, I was greeted by Jo Anne and Alejandro and their two dogs (hence the name) Jake and Lalo. I immediately felt right at home. The driveway was lined with rows of tables of tomato varieties. I decided to save the best for last, so I went all the way to the back to see what was there. 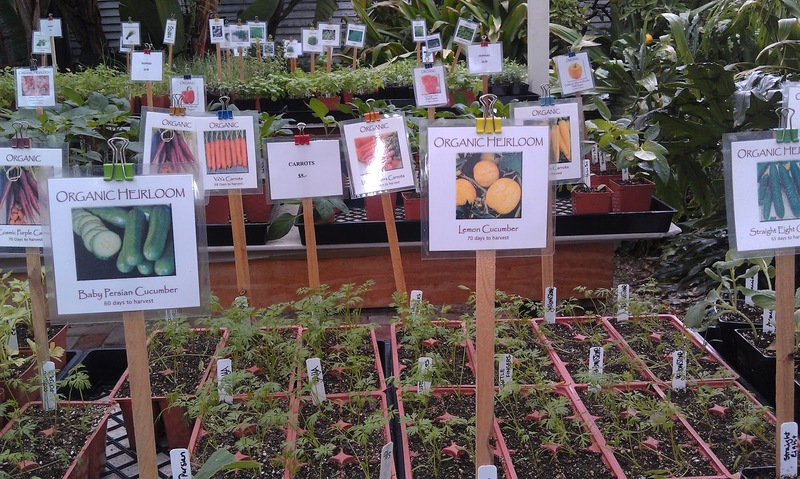 I wasn’t disappointed…there were so many vegetable starts that I was like a kid in a candy shop! There were a number of lettuces – greens and reds and speckled. I opted for Nevada because I know it’s one of the only lettuce varieties that can survive in the San Fernando Valley heat. Then, I was elated to find golden beets. First of all, beets are really easy to grow. The golden ones are more mild and subtle in flavor. They’re so delicious in salads with fresh greens, toasted walnuts, a drizzle of really good olive oil and a sprinkle of Fleur de Sel. There was a nice selection of peppers, both hot and sweet varieties. I went for one I’d never grown before and chose Purple Bell. I really love to grow squash. They’re easy and prolific and, when picked young and tender, are so tasty. The White Bush Scallop is just so cute I couldn’t resist, but the one I’m most excited about is Zephyr, an adorable two-toned, yellow and green straight necked squash. It can be eaten cooked or raw so it will be a beautiful addition to my crudités baskets in the summer. Not wanting to go too crazy, I decided to move on to the tomatoes. There were many of my standards and favorites and, of course, those made their way onto my flat. 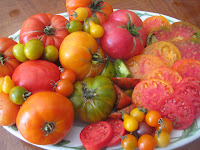 What really excited me, though, was the many varieties of tomatoes that were early producers. Some were grown from seed that Jo Anne discovered at the Heirloom Expo last year. 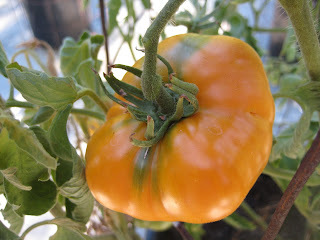 I’m most excited about AAA Sweet Solano, a yellow striped tomato with a slightly tropical flavor. Sounds like perfection to me. And Early Annie, a determinate, 60 day producer of high yields sounds great for salads early in the summer. It’s also known to be a great canning tomato. 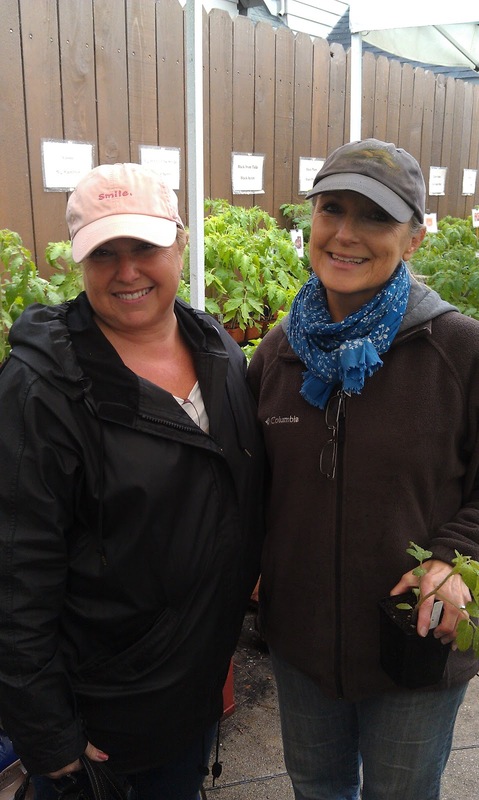 With a full flat of assorted veggies and tomatoes I felt happy that I made the drive in the rain to this seedling sale. They have many more plants, including berries and citrus trees that I look forward to seeing at one of the farmer’s markets they sell at all season long. To know more about Two Dog Nursery visit Two Dogs Nursery. Jo Anne and Me talking tomatoes!